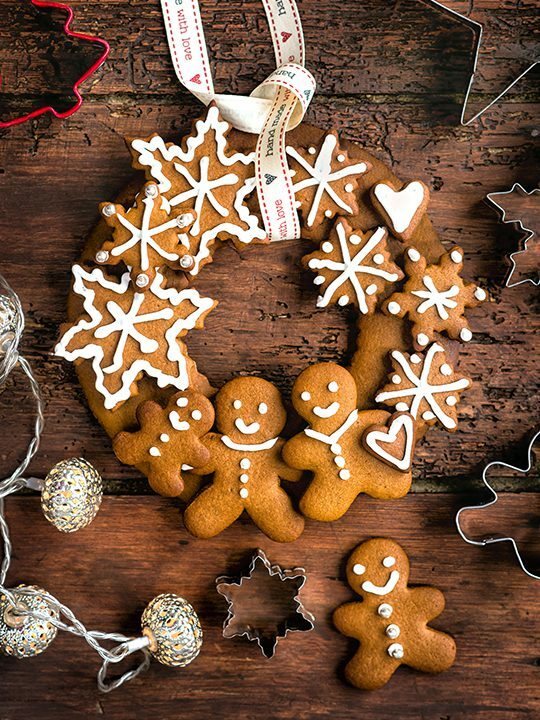 This festive gingerbread wreath is the perfect edible Christmas gift. 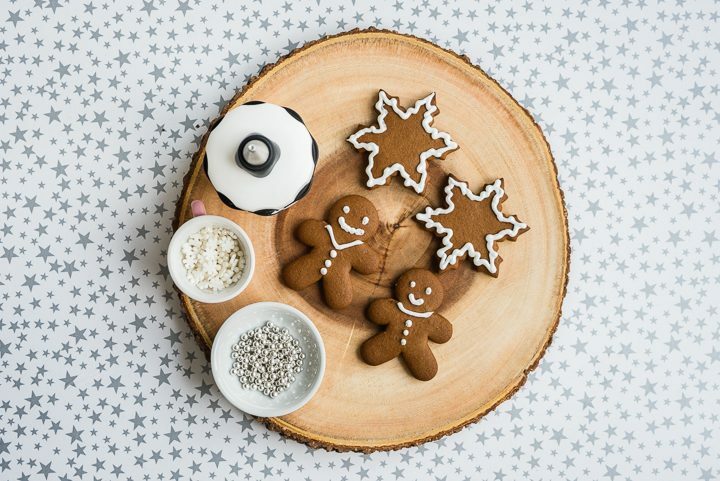 The gingerbread dough is easy to make, requires no chilling and you can have fun and use your creativity to decorate the cookies. Preheat the oven to 170C (340F). 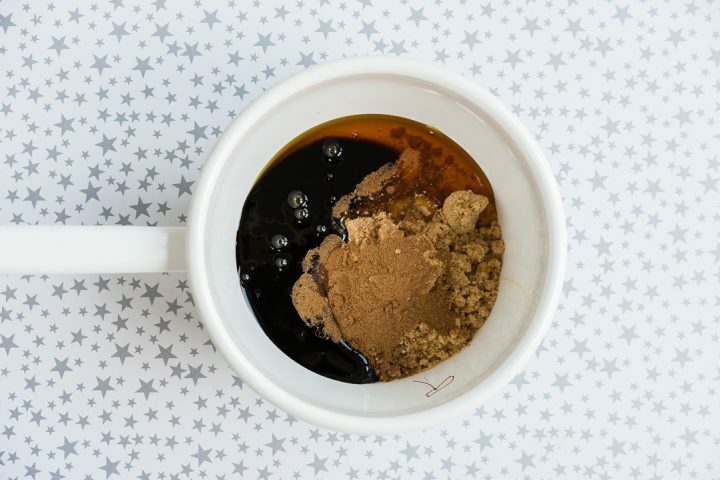 Put the sugar, treacle, golden syrup and spices in a saucepan and heat gently, stirring constantly, until it reaches boiling point. 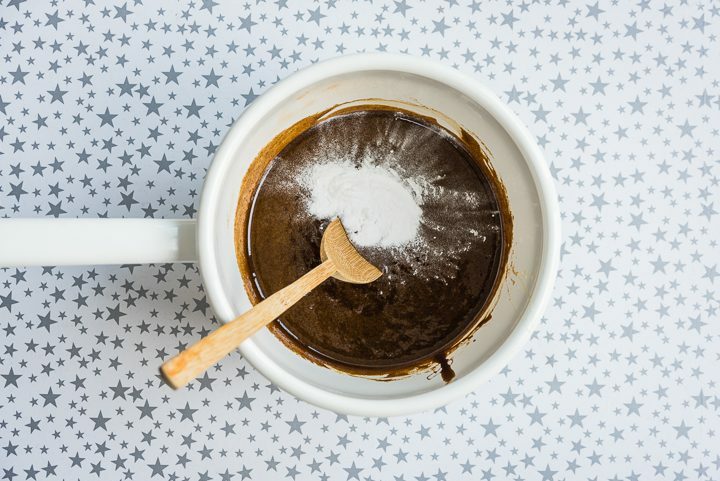 Take off the heat and stir in the bicarbonate of soda. Add the butter and stir until completely melted. 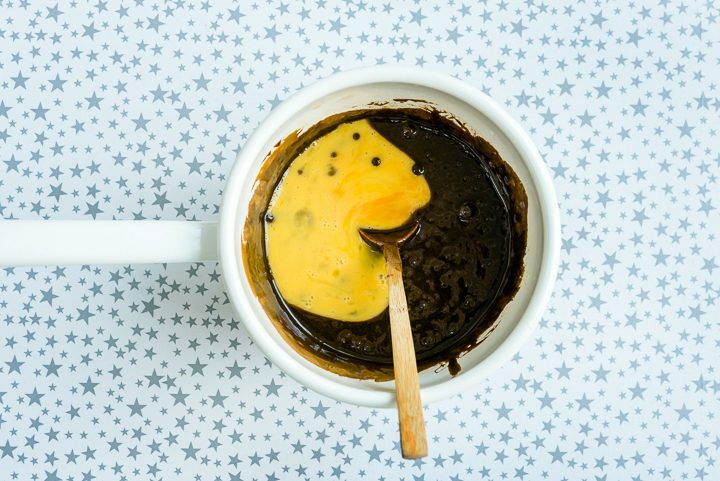 Mix in the beaten egg and transfer to a large bowl. 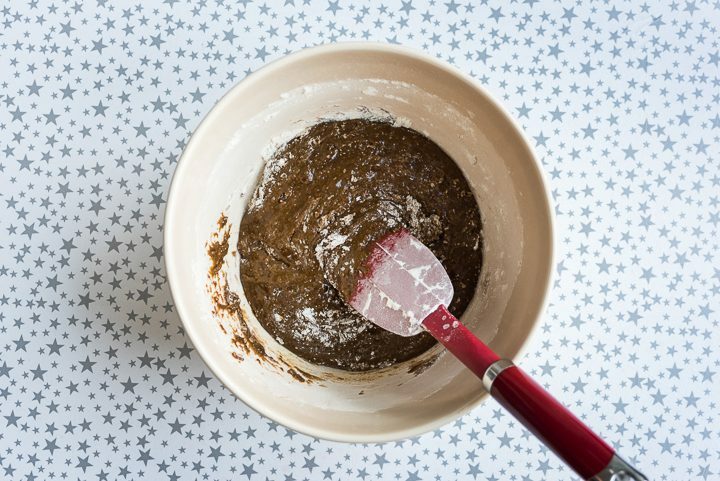 Gradually add the flour, stirring it in with a spoon, until the dough is fairly firm. You may not need to add it all. 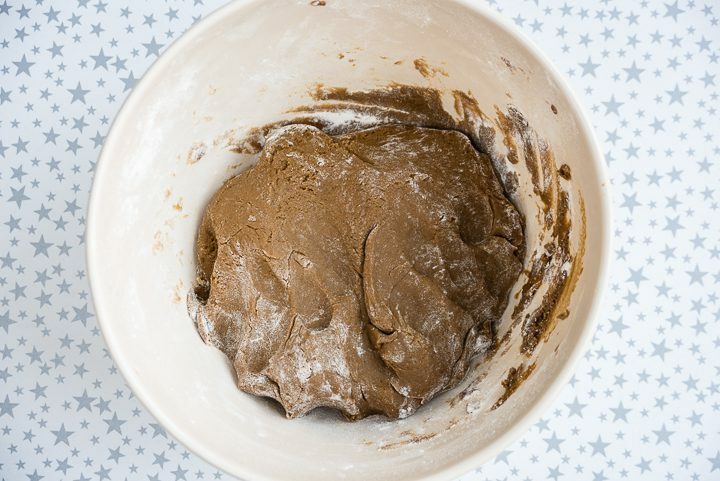 Tip the dough onto a lightly floured worktop and gently knead into a ball. Slice in half (or thirds) keeping any dough you aren’t using covered with cling film. 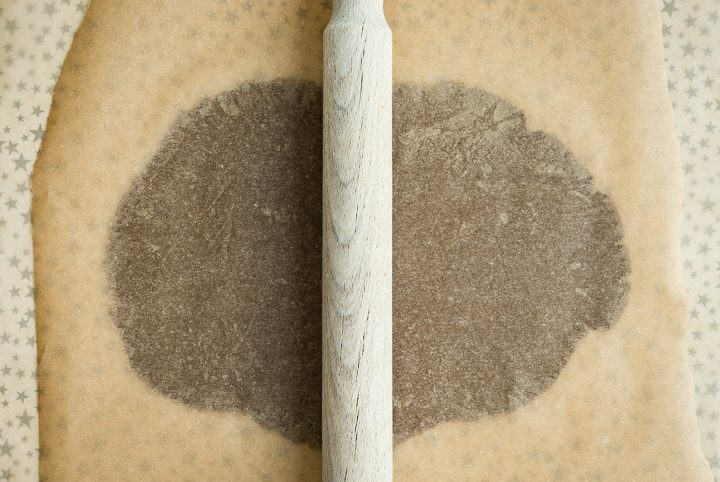 Roll the dough out between two large piece of greaseproof paper. 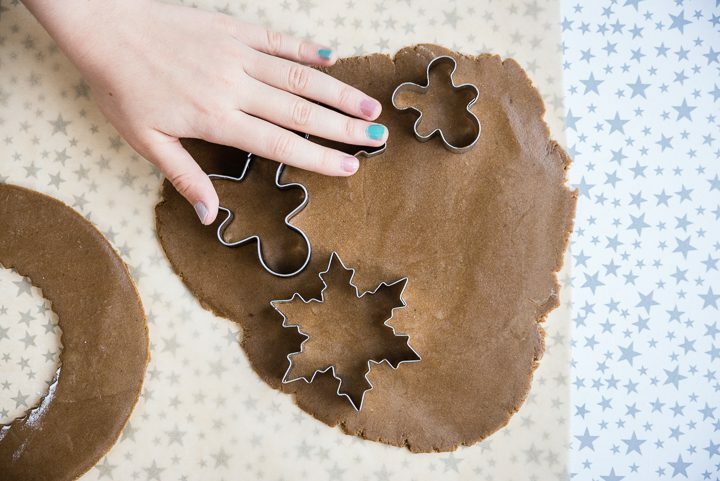 Cut out shapes with floured cookie cutters. Roll out a separate piece of dough. Trace a circle using a bowl or plate. Cut out the centre to create the base of the wreath. Transfer the cookies (on the paper) to heavy baking trays and bake for 12-15 minutes, rotating the trays halfway through, until the cookies start colouring at the edges. Make sure you bake cookies of similar size together as you might need to adjust the baking time. Remove from the oven and transfer to a wire rack to cool until firm. 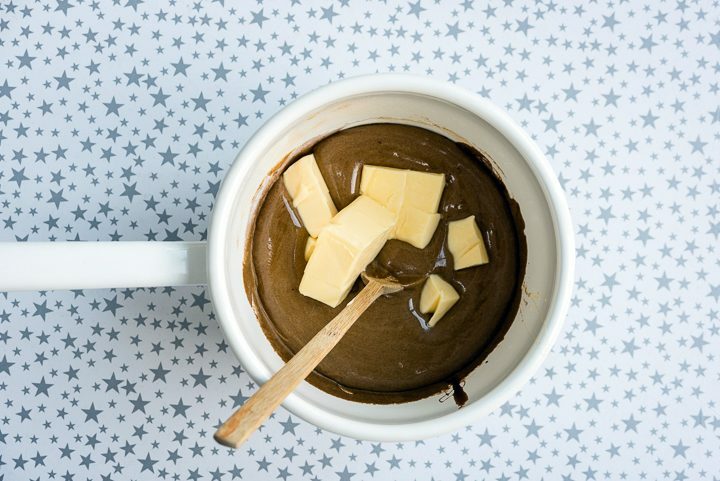 Make the icing. Put the egg whites and cream of tartar in a large bowl. 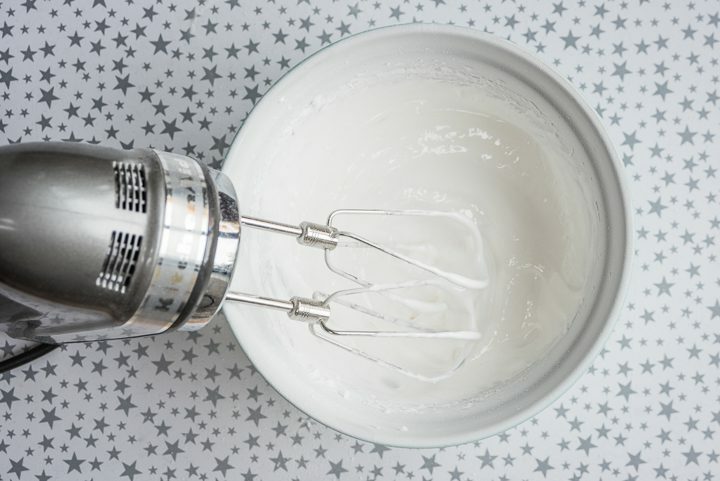 Use a hand (or stand) mixer to whisk until frothy. Increase the speed to maximum. Once the egg whites form soft peaks, start adding the icing sugar one tablespoon at a time while mixing on medium-low speed. Continue to whisk until the icing forms firm peaks. 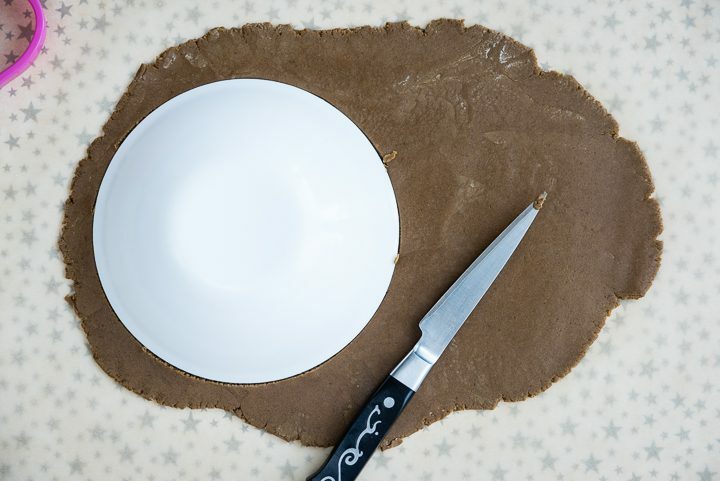 Keep the icing covered, placing a piece of cling film directly on the surface, otherwise it will quickly dry out. If the icing is too runny you can add more icing sugar. If too thick, thin it with water. Put the royal icing in a piping bag and snip a very small hole at the tip. Or use a squeeze bottle fitted with a small round tip. Frost the cookies and add any decorations before the icing dries out. Allow the icing to harden completely before handling them. 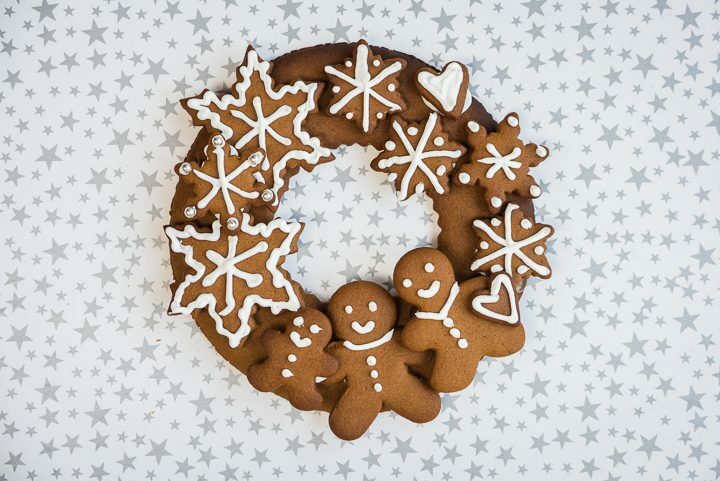 Arrange the cookies on the base of the wreath until you are happy with the look. Use icing to secure them to the wreath and allow to dry. Add a festive ribbon and put in a box to present as a gift.